There really wasn’t much thought behind this one, so it is accordingly presented without much comment! 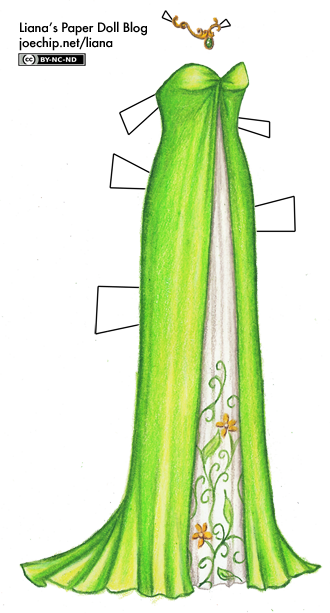 I just have a feeling next week is not going to be simple, and I didn’t have a lot of time today to make something interesting (or a story that would render this dress interesting), so I wanted to play around with my colors a little bit. I added some detail, because I just can’t help myself, and Ophelia, I hope you don’t mind the little addition of the dragon… my mom wanted a dragon on this one, and it is certainly very hard to say no to my mom! Anyways, I hope you like it. I like doing contests, because it’s fun to color according to someone else’s wishes every so often… I have to think of other kinds of contests to run. I was thinking I would ask “How many colored pencils did I just order?” (because I’m down to my last colorless blender… time for an infusion) but now I am bored of colored pencil counting. Anyone have any suggestions for me? So I did a birthday dress for January and then proceeded to ignore February and March — I’m very sorry, anyone with birthdays in those months who was waiting for one. (I’ll do them this month, since belated birthday presents are better than nothing, right?) 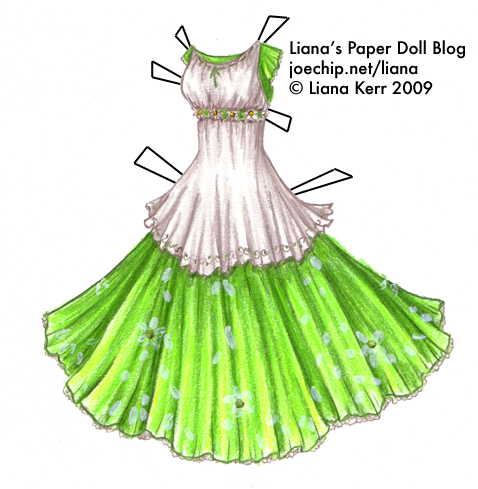 This is a dress for April, since one of the birth flowers for this month is the daisy. 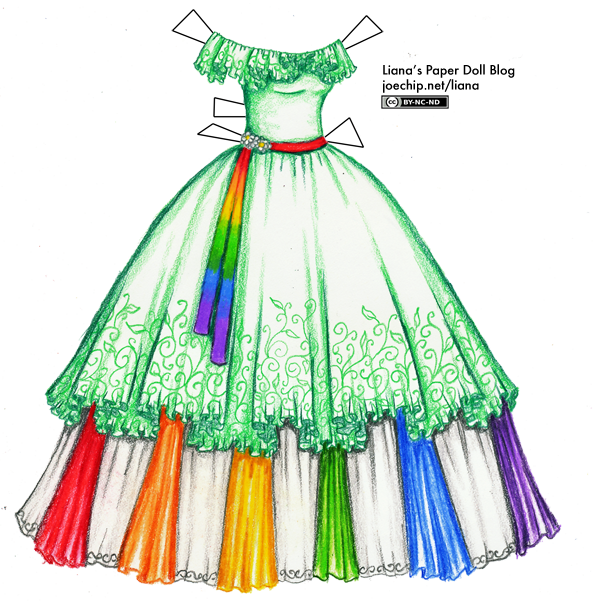 Like January’s, it’s intended to be vaguely angelic, but not based in any particular theology — I think of the birthday dresses as like those little statues you can buy for a kid every year where the characters get older, actually. January’s drives me crazy, because the white part on the red skirt, there were supposed to be flowers in there, and I got fed up with the dress and it was late and I never drew them in. Maybe I’ll dig it out of my box and put them in, then it won’t bug me… This one I like a lot, though, so that makes up for many failures. Yeah, no April Fool’s joke for you this year, sorry. Maybe next year!